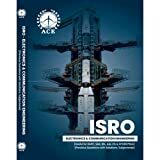 Here in the below table we have provided ISRO Scientists/Engineers(SC) syllabus for Electronics Engineering from the previous years analysis of ISRO Scientists/Engineers(SC) exam. 1. Solve previous years GATE papers. 2. Solve previous years IES papers. 3. Questions would be of moderate and easy level of difficultly.